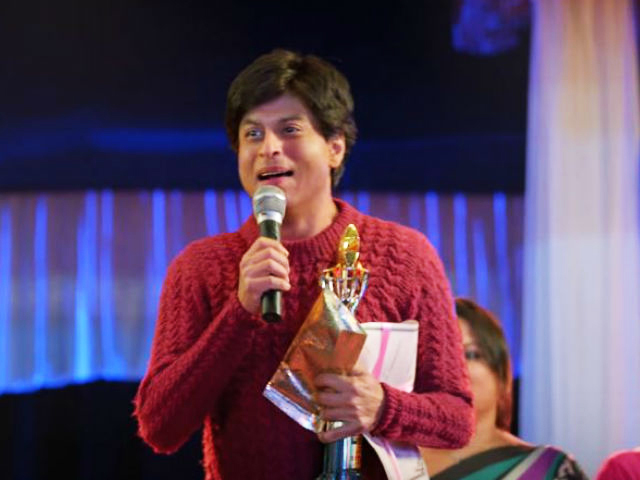 Fan – The Shah Rukh Khan we have been waiting for! 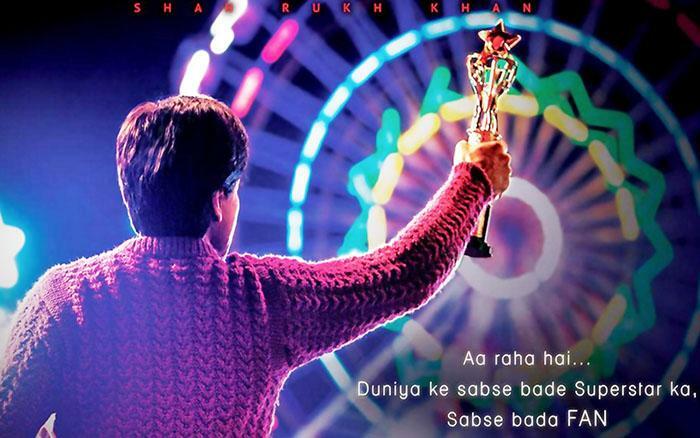 Tusshar Sasi	 April 16, 2016	 Leave a Comment on Fan – The Shah Rukh Khan we have been waiting for! FAN – A word that I completely relate to. Let me start with a first person account of something I observed. Well… There’s this female superstar whom I absolutely fan boy over. She is someone who played a significant role in shaping my ambitions and thought processes. I wouldn’t call myself an obsessed fan but, a thankful one. At one point of time, I used to manage this huge online fan club on a social media portal that doesn’t exist today. There I met fans of all kinds – ones who tried to look/dress up like her, those who made bed sheets and curtains out of her pictures and newspaper clippings. Some folks threw parties on her birthday, collected signatures for a Madame Tussauds figurine and even for civilian honours while others picked fights regularly with fans of rival actors. There were constant rows among themselves to prove who was a “better” fan. A moderator and a clueless spectator myself, this phase had me witness one of the die-hard fans getting a chance to meet her. The event, organized by a leading web portal in association with a recently released film of hers, was a big deal for us and more for the fan involved. It was a resounding shock when he returned utterly disappointed. The starlet didn’t greet him the way he expected her to. The lady who was meeting dozens of people exchanged pleasantries, clicked pictures and zoomed off to another event. The heartbroken fan clearly wasn’t charmed. He left the group, did everything that could possibly malign her on whatsoever reach social media had at that time. He continued this exercise for weeks and finally the unthinkable happened. One fine morning he shed all the facades and returned to what he always was – a FAN! A very pleasant ending for all concerned. Years later, I met this superstar actress myself. An absolute fan boy moment where I stood with a collage and was greeted with a heart-warming smile from the lady herself. A happy exchange of hellos, an autograph and that’s it – the most beautiful day of my life was made. Perhaps, I was used to meeting celebrities – for work and otherwise. It made zilch sense in me expecting anything from my favourite star as my friend did. The warmth, the exhilaration in meeting a person of SUCH significance in our lives should just be sheer ecstasy. 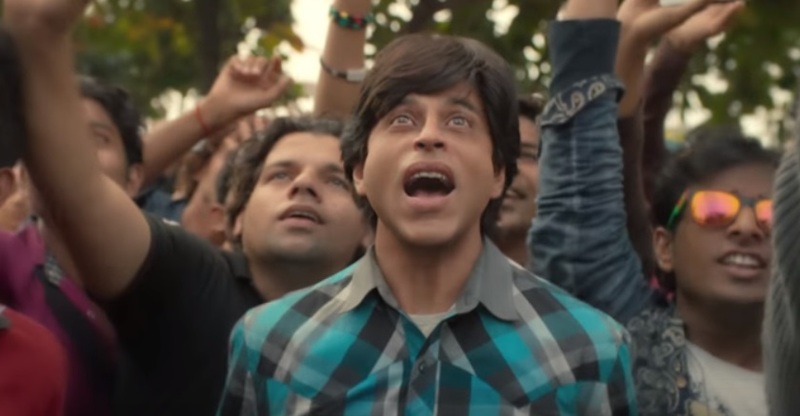 Having shared this, Maneesh Sharma’s fourth feature film Fan is familiar territory for me. There are two ways you can approach a similar theme – the route Martin Scorsese chartered in The King of Comedy or how Ram Gopal Varma made Mast. Among lesser watched Indian films, I’d say like Parvati Balagopalan’s saccharine-sweet Rules – Pyaar Ka Superhit Formula. Sharma decides to go the Scorsese path but with his Bollywood zing in place. The smoothly written first half gets over like a breeze. If there’s a standout factor, it is Shah Rukh Khan. He is someone whom I truly dished at one point of time… even in the unlikeliest of films. His Asoka had a royal swag that no Hrithik Roshan or Ranveer Singh could have ever emulated. Shah Rukh’s buffoon-like chef act in Duplicate was perhaps the cutest a Hindi film hero could ever get. The tag ‘special appearance’ earned gravitas when he appeared as the guilty Yashwant Rao in Saathiya. Of late, like most people around, I too felt his choice of films could have been better thought of. Yes, there is a default joy that you derive from watching a Shahrukh Khan film but, sheer bliss is to see him perform a Swades or a Fan…. Very early in the film, a tiny brawl in the colony establishes that Gaurav Chandna (Shah Rukh Khan – with some decent prosthetic makeup) isn’t someone who gives up easily. Later in a train sequence – that Issac Newton would’ve facepalmed at – Gaurav proves he isn’t just another fan. Very soon, circumstances bring him close to the matinee idol Aryan Khanna – the dapper and perhaps 5% less energetic version of the real King Khan. Soon we see things turn sour and here comes the interval point. 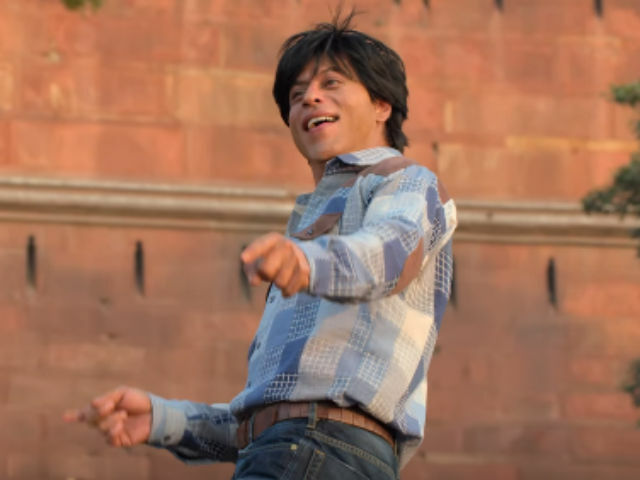 Kudos to the team for smoothly injecting elements from Khan’s real life – good and not-so-good – such as making it from being a middle-class Delhi boy with no connections, the police interrogation scenes to the much-criticized act of dancing at weddings. So far so very good! The second half is where Yash Raj Films suddenly wakes up to the fact that they have the legacy of some seriously ludicrous films viz Rab Ne Bana Di Jodi, Dhoom 2 & 3 while Maneesh Sharma takes his own Ladies vs Ricky Bahl worthy of inspiration. Oh boy, how a charming film nosedives and falls flat for almost an hour. It was as if they decided to hit thriller route only to meander aimlessly. What was the need, after all? Believability factor isn’t exactly the issue here – but pure lack of imagination is. Sample this – You have a superstar of today’s era doing parkour-like stunts across Delhi streets and a star wife who hands over a gun to a stalker only to witness severe mishap in her own home. Having said that, Fan is a noticeably ‘well-made’ film. The screenplay loses steam midway but the direction doesn’t. Maneesh Sharma duly pulls the film together towards the pre-climax and makes way for a riveting climax. The monologues by both the protagonists in the penultimate scene are affecting. You come out of the auditorium with an emotion – strange, mixed, unexplainable. You wouldn’t know who was right and who wasn’t – particularly with the images that flash across during the end credits. The technical crew of the film is more or less the same as last year’s heartwarming Dum Laga Ke Haisha and they don’t disappoint. Manu Anand’s cinematography is one of the film’s high points. The action sequences in particular as deftly shot and choreographed. Andrea Guerra’s score is excellent. Editing department is in Namrata Rao’s reliable hands while Habib Faisal and Sharat Katariya pen some terrific dialogues. Performance-wise Fan is a complete one-man show. I wouldn’t delve into the cliché of calling it Shah Rukh’s career-best turn but, this is the paisa vasool Shahrukh Khan that I grew up watching. And those close-up shots when Gaurav spots Aryan outside the latter’s residence – JESUS CHRIST!!! The lovely Waluscha De Sousa is wasted, which is a pity. Shriya Pilgaonkar makes a sparkling debut. Sayani Gupta is impressive while Yogendra Tiku makes his presence felt. I guess, no one understood Gaurav Chandna either. Not even us. Previous Post10 songs you didn’t know were composed by Sandesh Shandilya! Next PostHey Lara Dutta! Can we have more of you, please? “Raazi”… This journey of an ordinary girl who becomes a spy keeps you on tenterhooks! “Baahubali 2” is the visual spectacle it was meant to be!